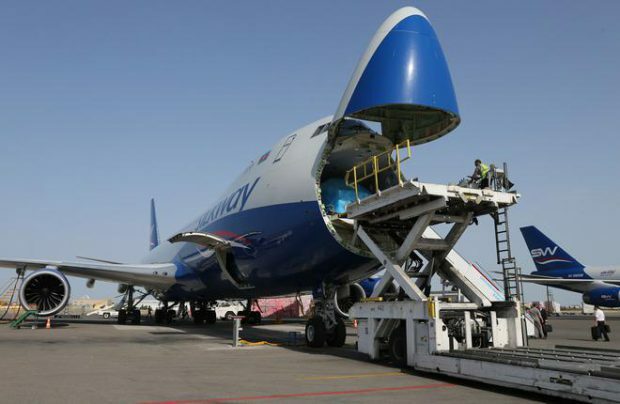 A new Boeing 747-8F widebody freighter in the livery of Azeri carrier Silk Way West Airlines landed at the airline’s base airport Baku on April 2. The aircraft, registration number VQ-BBM, arrived from Boeing’s assembly facility in Everette. Silk Way West’s fifth of the type, the airliner arrived seven months after the previous aircraft from the same batch of three 747-8Fs ordered under the March 2015 contract with the OEM. Silk Way West operates long-haul flights connecting destinations in Europe, Asia, the Middle East, and North America through its Baku hub. In late 2015 CEO Kamran Gasimov said the carrier also had cargo processing centers at Frankfurt-Hahn in Germany and at London’s Heathrow. Its route network comprises over 50 destinations. Apart from the new Boeing 747-8Fs, Silk Way West operates three older Boeing 747-400Fs.